Rachael is a results oriented professional with 8 years of human resources management experience working in the fields of logistics, manufacturing and the hospitality industry. Prior to joining Franchise Management Inc. in September 2012, Rachael worked at McCain Foods Canada, progressing from Human Resources Generalist to Human Resources Manager over the span of five years. In addition, she gained valuable experience as Recruiting Manager; and 13 years as a Restaurant General Manager within the Yum group of franchises. 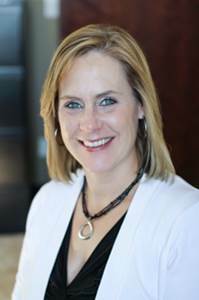 Throughout her career, Rachael has provided functional leadership and technical expertise to manage various HR policies, talent management, employee relations, organizational development, bench planning and other human resources activities. In her current role, she maintains functions such as employee compensation, recruitment, personnel policies, and regulatory compliance; and plays a significant role in the strategic use of human resources at FMI. Rachael proactively plans, elaborates, recommends and promotes HR policies, guidelines and programs which deliver cost effective/added-value business services, and helps to ensure compliance with company policies and procedures and business objectives as well as all federal, state and local labor laws. Rachael is a member of the Society for Human Resource Management (SHRM), Human Resources Association of New Brunswick (HRANB) and holds her CHRP destination.